Steel and knife are my symbol, the symbol of the traveling worker, sang Icelandic song poet Bubbi Morthens in the hay day of the Icelandic fishing towns. 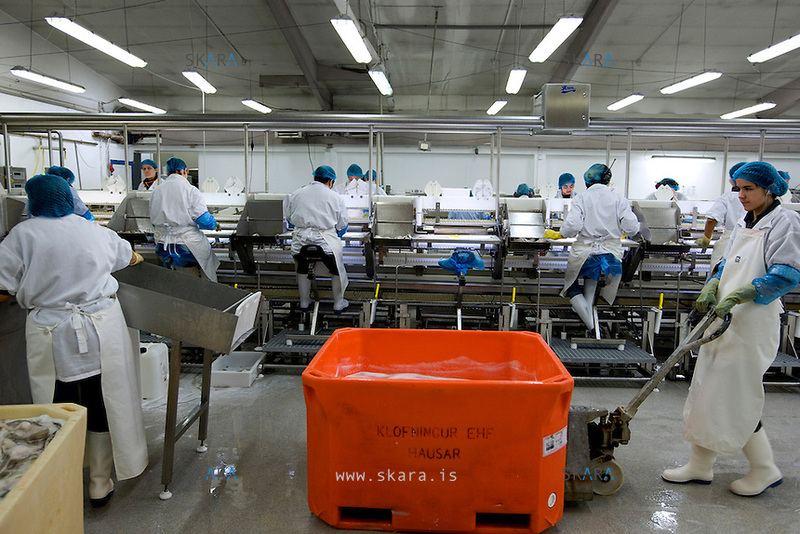 Gutting, cleaning, beheading and filleting fish are among the daily chores of fish processing plant workers. The frozen end product is shipped to the UK and sold in stores like M&S and xxxxx.